Milk thistle is widely known as a liver protector and healer, according to the "Cleveland Clinic Guide to Liver Disorders." Your liver can suffer damage from diseases, injury, medications or too much alcohol. When your liver is damaged, it's unable to effectively detoxify your blood and keep you healthy. While milk thistle may help heal the liver, you should consult with your doctor before using any herbal remedy to treat a health problem. Also, milk thistle may cause adverse reactions such as itchy skin or hives. A member of the Asterarceae, or daisy, family, milk thistle is a flowering plant native to the Mediterranean region. Its seeds are rich in antioxidants called flavonolignans. The active ingredient in milk thistle is silymarin, which is a mixture of these flavonolignans, the University of Washington explains. Milk thistle is no stranger to natural and alternative health practitioners and Europeans. Its reputation for treating liver problems such as hepatitis and cirrhosis is well established. The "Cleveland Clinic Guide to Liver Disorders" states that milk thistle is available in Europe as a remedy for chronic liver disease. In most cases, milk thistle is safe and well tolerated, but some people may develop allergic reactions. If you are allergic to any plant in the Asteraceae family, such as daisies, chrysanthemums or ragweed, you may also be allergic to milk thistle. If you take it orally or handle the plant, seeds, or fruits, you may notice symptoms such as itchy skin, hives or a rash. Milk thistle is available in pill, extract and tincture form. The "Cleveland Clinic Guide to Liver Disorders" states that there is no recommended dose for milk thistle. However, 70 to 2,000 mg taken twice or three times daily should be safe to take. 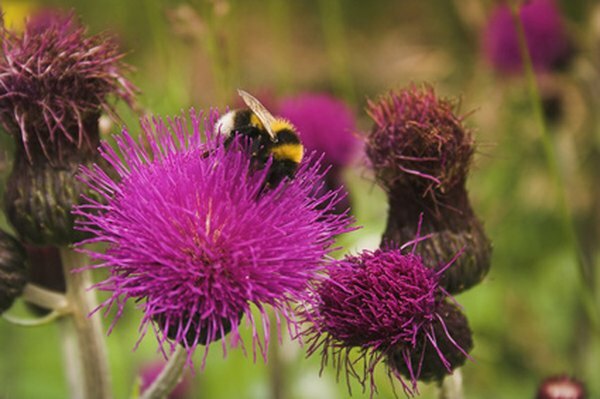 There's no conclusive evidence that milk thistle interacts with any medications. The University of Maryland Medical Center warns that this herb may interact with medications such as antipsychotics and allergy, epileptic, high cholesterol and cancer drugs. Do not take milk thistle if you're pregnant or breastfeeding. Stop taking milk thistle if you experience any allergic reaction. Take an over-the-counter antihistamine to relieve the itching. Topical treatments such as cold compresses, a corticosteroid cream or calamine lotion will also provide relief. However, the American Association of Family Physicians recommends taking a cortisone cream for no longer than two weeks. If your skin doesn't recover by then, consult your physician.